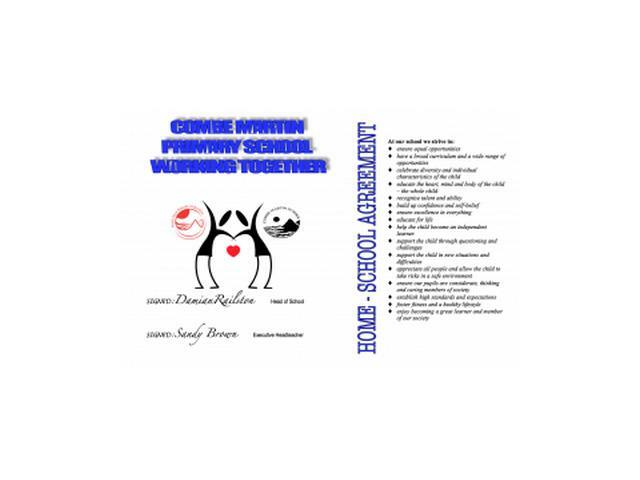 When your child starts at Combe Martin Primary you will be asked to enter into a contract with the school. 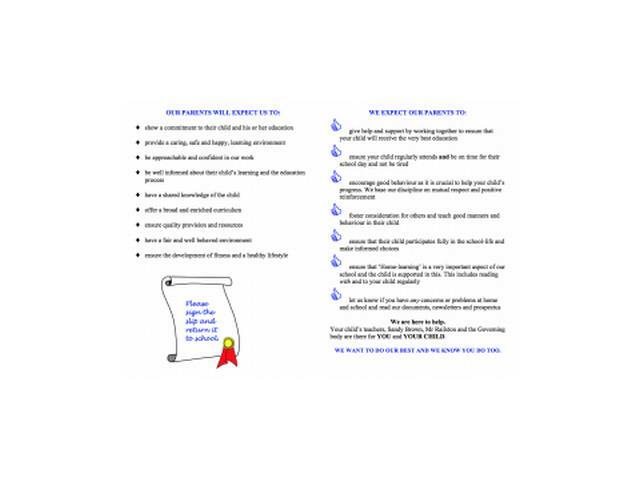 This is to ensure that we are all working as hard as we can to support your child. As you know, education begins at home and the role of the parent in supporting the child on their educational journey is vital. It is also vital that you understand how to support school, what we are expected to do and what we expect of you. This document helps clarify all of our roles. 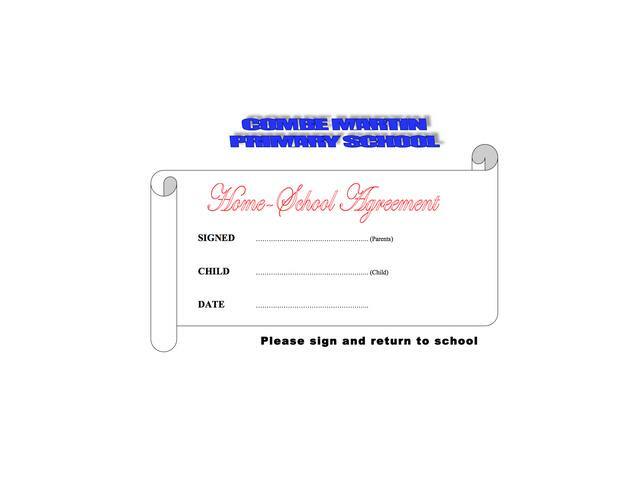 If you have any questions about the agreement please feel free to ask the class teacher.